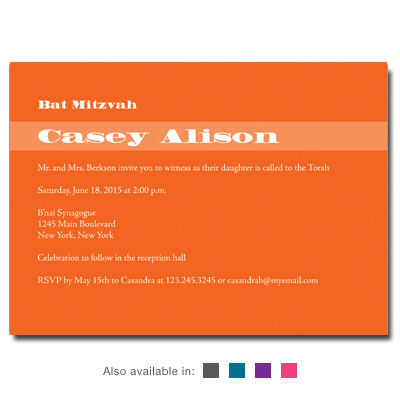 Bold type and fresh colors make this Bar Mitzvah bookmark stand out. 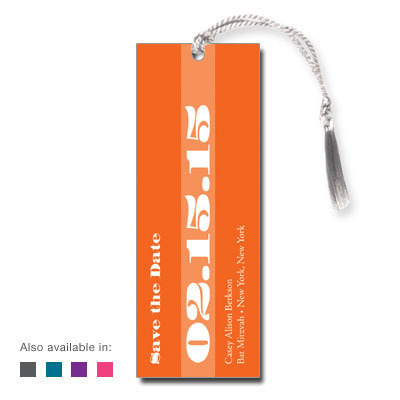 There are five color options available for this personalized party favor: pink, orange, purple, teal and gray. Bookmark measures 2x5.5 and comes with white tassels; light assembly required.